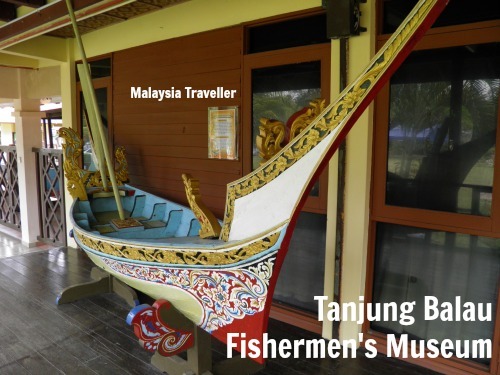 Tanjung Balau Fishermen Museum, or Muzium Nelayan, is a spacious museum on the beachfront at Tanjung Balau in Kota Tinggi District of Johor. 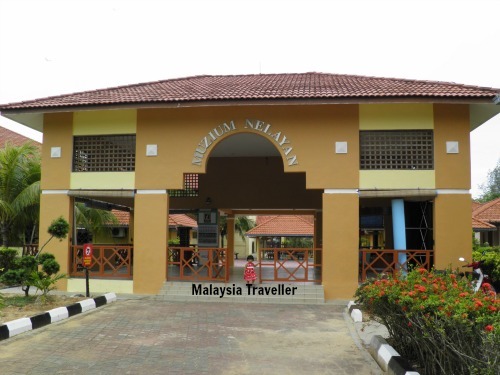 It was opened in 1992 near the site of a former fishing village. Exhibits include actual fishing boats and nets, boat models, dioramas, posters, films etc. Fisherman’s Gallery looks at the traditional life of fishermen, such as the superstitions they followed to ensure a safe trip, the types of boats and rafts they used, their equipment such as nets, tackle and tools. Geology Gallery shows over 100 types of stones and rocks. Sea Gallery concerns navigation, communications and safety at sea. Desaru Shipwreck Gallery provides information on wrecks in the area including a junk which sank in the 1830s with a large cargo of Chinese blue and white porcelain and other items bound for Europe. Outside the museum is the public beach area with a wide expanse of grass for playing ball games or having picnics. 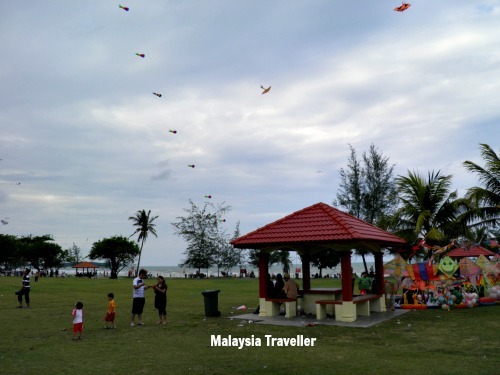 Kite flying is a popular activity on this beach. I have marked the exact location on the map on my Top Johor Attractions page.